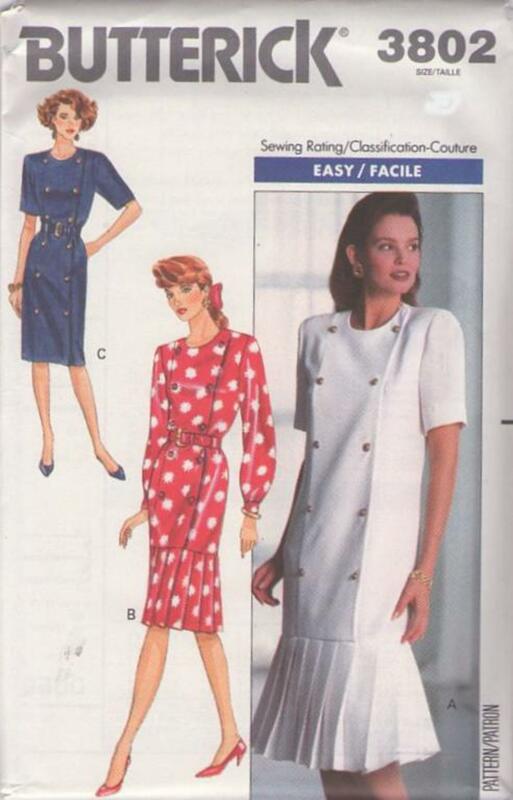 1989, 80s Career, Retro Office Clothing Patterns - MISSES'/MISSES' PETITE DRESS Loose-fitting dress, below mid-knee variations, has shoulder pads, princess seams and above elbow sleeves or long sleeves with button cuffs. A,B: pleated flounce. Purchased belt.